Mouth-watering, fall-off-the-bone, slow smoked beef brisket or slow cooked ribs are a Texan favorite and this super easy recipe is a great if you are at all timid of the barbecue or grill. Cut the baby back ribs into the serving size you prefer and then wrap in two layers of tin foil. Bake in a baking or roasting dish/pan for 1 1/2 hours. Place the ribs in a large roasting pan. In a bowl, mix together the brown sugar, ketchup, soy sauce, Worcestershire sauce, rum, chili sauce, garlic, mustard, and pepper. This is your marinade! Coat the ribs with sauce and marinate at room temperature for 1 hour, or if you have time you can even refrigerate them and let ’em get all yummy overnight. Preheat your grill (medium heat). 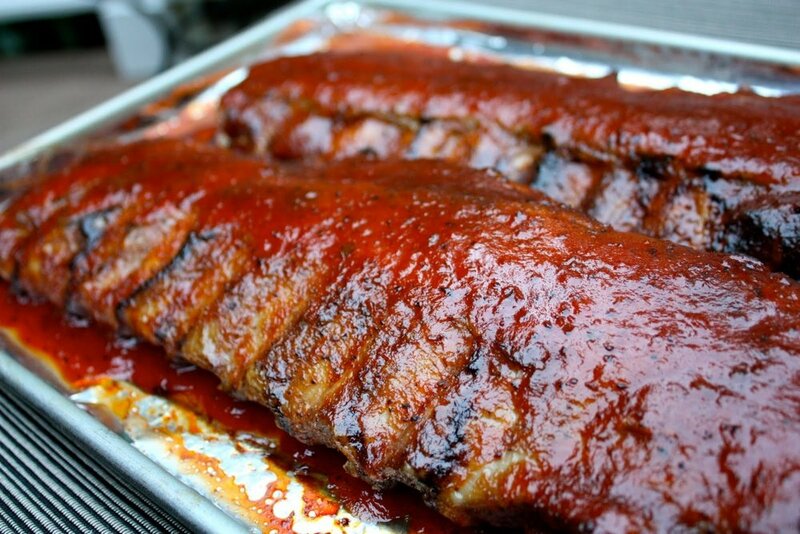 Place the ribs on the grill and cook for 30 minutes, basting with the marinade. Serve.